What a FUN layout!! 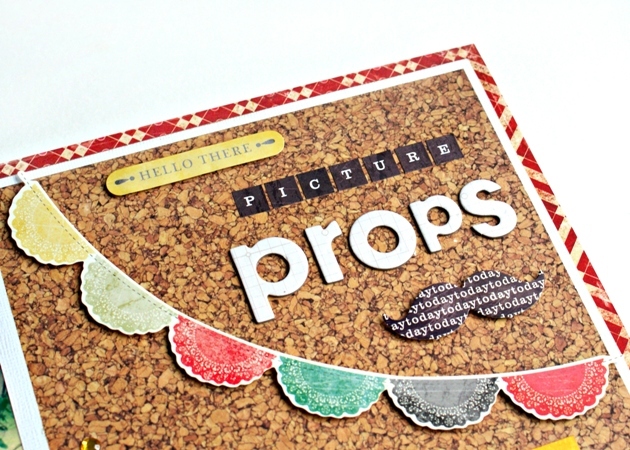 I love the cork background and all the bits and bobs you added!! This is adorable! 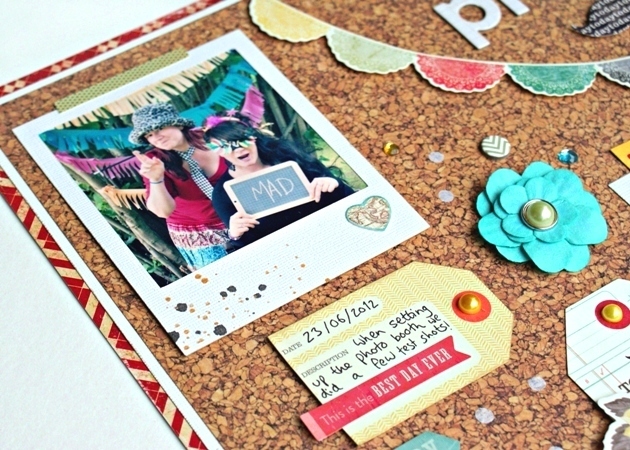 I love the corkboard feel to it! This layout brought a smile to my face! So cute. I really like how you framed the cork paper with red. Very inspiring. Love it, such fun complements the photos perfectly. I’d love to see a tutorial of how your pages come together and how you make the design decisions! I love all the embellishments to catch the eye…..and the doily bunting is fab. 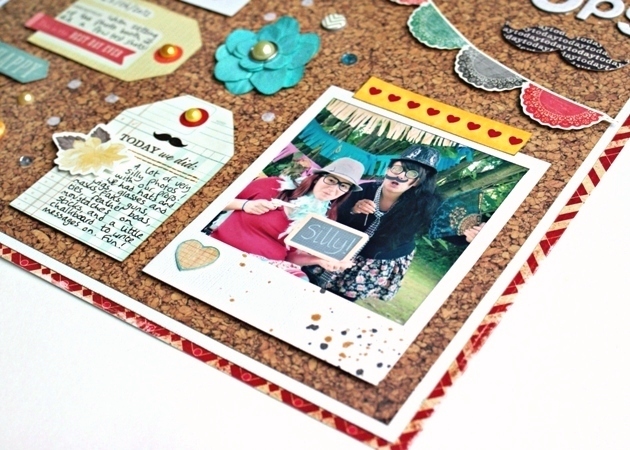 Love the corkboard theme you’ve used. What a fun layout, and it looks exactly like a bulletin board would. I also like how this is arranged to look like a bulletin board would…so cute! Oh I like this – the combination of cork and red plus your fun design really makes it all pop. Great page. Love the cork background and notice board look. 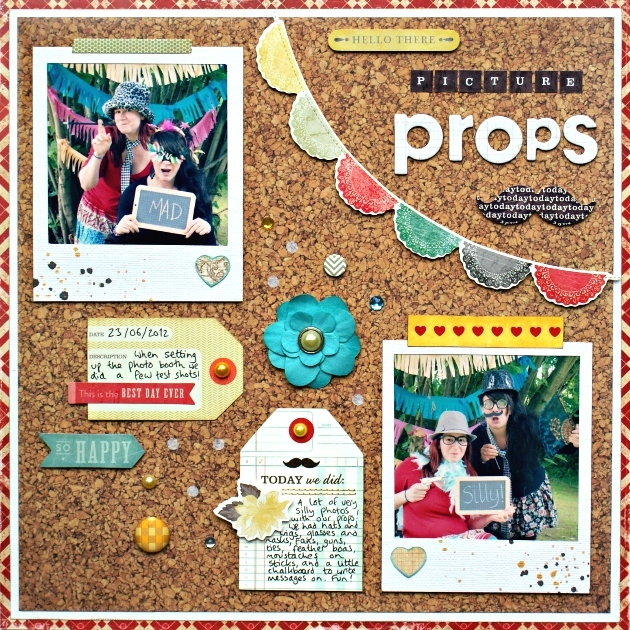 That cork board effect is great – such a fun layout!